A creative design to decorate your home. 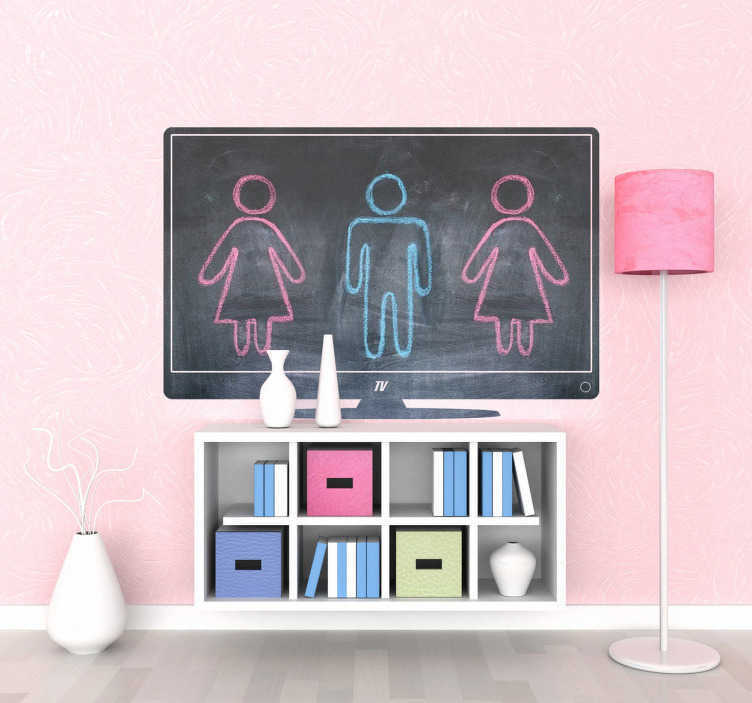 This TV blackboard sticker is perfect to decorate all room at home and also at work. It is useful to draw anything you like and also to make notes of things you need to remember. You can also use it to decorate places such as schools, nurseries and hospitals so the little ones can have fun drawing on it. Easy to apply and leaves no residue upon removal. If you need a specific size email us at info@tenstickers.co.uk.